Swiss Digital Agenda – Agite Subito ! Swiss Digital Agenda – Handeln Sie jetzt ! Swiss Digital Agenda – Take Action Now ! Swiss Digital Agenda – Agissez maintenant ! It’s been a while since the launch of NumeriCH at Lift15 and it took some time to coordinate and organize. Today, we are very excited to announce the launch of the two initiatives we’ve been hard at work setting up. We hope you will engage in either or both of them. NumeriCH covers two distinct aspects of the Swiss Digital Agenda: the agenda itself and the debate. For the Swiss Digital Agenda, we’ve been observing and working closely with the French Conseil National du Numerique who recently underwent a large national consultation to crowd-source key elements of a Digital Agenda that led to a 400 pages report submitted to the French Prime-Minister last June (http://contribuez.cnnumerique.fr/ ). 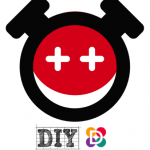 We have chosen a Do It Yourself (DIY) approach based on a Kit anyone can download to organize workshops to identify the challenges and ideas for the Swiss Digital Agenda. The Swiss Digital Agenda DIY Kit has been remixed in Creative Commons from the French equivalent. Each workshop will lead to items to be document on the DomocracyOS participatory platform for debate. 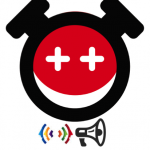 We hope you will find it useful and fun in contributing to the Swiss Digital Agenda. For the National Debate on the Swiss Digital Agenda, we have worked closely with a great startup we actually met at Lift15 in Geneva. We will be using GovFaces.com to manage and facilitate our debate online from July 20, 2015 through the end of September. It will be composed of five conversations to which we will invite high profile experts, politicians, academics, organizations, citizens and journalists. Each conversation on GovFaces will organize key issues and allow those taking part to contribute suggestions and ideas that will be summarized at the end of the campaign. Major Swiss media including Le Temps will draw upon this body of discussion to convey the important challenges and opportunities for Switzerland. We warmly invite everyone to engage in this important debate for the future of Switzerland. Ultimately, our goal with the NumeriCH initiative is to jump-start the process of the digital upgrade of Switzerland to proactively engage in the 21st century. Digital Switzerland Quo Vadis ? While most countries have appointed or commissioned high ranking political officers to lead and champion a digital agenda for their countries as a strategic issue for society, Switzerland is still in a difficult position of having neither such a responsibility nor a concrete digital agenda. The objective of this panel is to initiate a discussion on these issues. In particular, the creation of a State Secretariat for the Digital Society (interpellation de M. Fathi Derder au parelment et AGEFI du 6 janvier 2015) and the creation of a Swiss Digital Agenda (Le Temps du 19 janvier 2015, M. Jean-Henry Morin). This panel will also be the official start of a national debate on these issues proposed in the context of a partnership between Lift Conference, Le Réseau and ThinkServices. Panelists, together with the participants, will discuss and generate some ideas for moving forward. Join us to co-creatively discuss and shape Switzerland’s Swiss Digital Agenda for the people and by the people. Alors que la plupart des pays sont aujourd’hui dotés d’instances politiques chargées des questions numériques et d’assurer le pilotage stratégique d’un Agenda Numérique pour la société, la Suisse se trouve dans une position délicate n’ayant ni une telle responsabilité au plus haut niveau, ni un Agenda Numérique pour le développement de la société. L’objectif de ce panel est de lancer une discussion sur ces questions. Plus particulièrement, la question d’un secrétariat d’état à la socitété numérique (interpellation de M. Fathi Derder au parelment et AGEFI du 6 janvier 2015) et la question de la création d’un Agenda Numérique pour la Suisse (Le Temps du 19 janvier 2015, M. Jean-Henry Morin). Ce panel marquera aussi le lancement officiel d’un débat national sur la question lancé dans le cadre d’un partenariat entre Lift Conférence, Le Réseau et ThinkServices. Avec les panelists, les participants sont appelés à venir discuter de ces questions et co-créativement se joindre au début de ce débat national de façon participative et créative. © 2019 Swiss Digital Agenda.